It was just a few years ago that the country was thrown into the worst recession most of us can remember. Auto industry sales collapsed to 10.4MM units in 2009 and Chrysler and GM went through bankruptcy. Bankruptcy gave the domestic manufacturers an historic opportunity to rid themselves of excess production capacity and correct one of the industry’s long term bugaboos, we were simply making more cars than people wanted to buy. Too much production led to inflated inventories which in turn led to marketing that relied heavily on incentives and made price virtually the only criterium for purchase. We taught consumers to ‘buy the deal.’ Promotions are a necessary part of any business and there will always be times when incentives need to be used, but using incentives became the SOP of the industry (particularly the domestics) and made it impossible for anyone to make money. For the last couple of years, with the recession just behind us, the industry has shown restraint. Production and inventories were kept under tight control, fewer incentives were used and low and behold, margins increased! This has been great for the industry and things are really on firmer footing than anytime in recent memory. When General Motors was going through bankruptcy many industry observers were surprised that Buick would be one of the four brands that would be part of the new company (along with Chevrolet, Cadillac and GMC). The explanation was that the Buick brand was very successful and respected in China. What was left in the “un-said” was that Buick was a basket case in the United States. Since coming out of bankruptcy there has been lots of discussion and coverage regarding Chevrolet and Cadillac but relatively little about Buick. Chevy represents 70% of the company’s business and certainly warrants attention. No one was really surprised that shortly after arriving, Joel Ewanick hired Goodby, Silverstein & Partners to help re-build the Chevy brand. Cadillac, the company’s luxury brand also seems to garner a lot of attention. With bold designs, terrific new products, another new agency (Fallon), the folks at Cadillac believe that they are in a position to finally break into the Tier 1 portion of the luxury segment. Marketing for Chevy and Cadillac has been stepped up and through November sales are up 18% for Chevrolet and 38% for Cadillac. All good. There’s also quite a bit of anticipation for the Superbowl as one or both of these brands will launch new campaigns in the big game. While Chevrolet and Cadillac seem to grab the headlines, Buick has been quietly going about its business and making unexpected progress in the US market. In fact, Buick is the fastest growing GM brand; it is also the fastest growing automotive brand in the United States with sales +54% year to date. It would be easy to attribute Buick’s success entirely to product, after all the new Lacrosse and Regal are pretty darned impressive (see my earlier blog post) but that would be unfair to the marketers. The folks responsible for marketing at Buick continue to find interesting ways to let us know our expectations of Buick are misplaced and that we should think of the brand differently. Already the pundits are criticizing the campaign. Advertising Age has an article headlined “Criticism of the new Chevy theme runs deep” which does a very nice job of chronicling the pundits’ negative opinions and I’m sure by tomorrow morning there will be more. Much of the criticism stems from the idea that Chevy is trying to capitalize on “patriotism” or “American heritage.” Other folks are implying that there is nothing new here, that in fact Campbell Ewald did this sort of work for Chevy for years and reference “Like a Rock” and “Heartbeat of America” as proof points. Chevrolet breaks new Cruze television ads. This morning Chevrolet’s campaign for the new Cruze broke. Two televsion commercials produced by Goodby with Tim Allen as the voice-over. These commercials certainly make the point that the Chevrolet Cruze offers a lot versus the competition and is worthy of a look but they do not offer a big “ah ha” regarding the positioning of the Chevrolet brand. It will be interesting to see where they go from here. SAAB is re-building its brand after years of neglect. 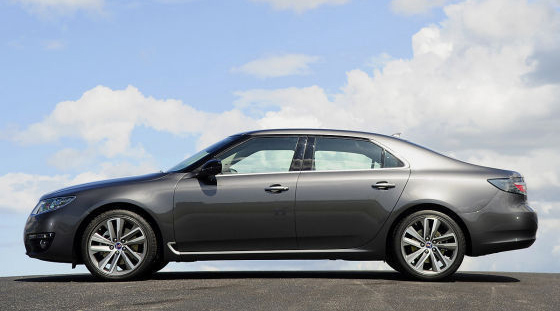 Now that SAAB has shed the shackles of General Motors they are getting on with the business of re-building the brand. Two weeks ago they announced (NYT’s 6/22/10) that they have hired a new head designer who has said that: “We want to return to the Saab DNA.” Just last week they announced (Media Post 6/29/10) that they were ramping up marketing investment, going back on TV and in print with a new campaign. After years of being part of GM where the SAAB brand was neither appreciated nor nourished it appears to be getting it’s footing back. The SAAB brand has always stood for independence and a willingness to break convention. SAAB has always had a devoted group of loyalists, some of whom played a vocal role in the brand’s most recent resurrection, PGM (Post General Motors). Historically, SAAB has had all the foundation stones of a great automotive brand; a point-of-view, good interesting product, a genuine enthusiast group willing to proselytize, a group of loyal owners and marketing that conveyed its essential character. As part of the GM stable of brands, SAAB’s essential character became a barrier to increased sales volumes. “Different” didn’t mean special or unique, it became “quirky” or “weird.” As we all know, very few people buy “quirky” or “weird.” So SAAB product became less distinct, not necessarily bad, just less unique. SAAB’s marketing also became more expected, more traditional. Consumers were subjected to campaign after campaign that hung its hat on the idea that SAAB also makes jets…as if that was ever what the car company was about. The “Chevy” vs. “Chevrolet” dust-up. What it means for a global brand. The last twenty-four hours has been full of articles, blogs, tweets, surveys, all questioning the wisdom of the folks at Chevrolet who were apparently seeking to remove “Chevy” from the brand’s lexicon (NYTs 6/10/10). Predictably, people were shocked and the Chevrolet folks accused of varying levels of insanity, some even questioning their patriotism. Thankfully, as the day wore on, Chevrolet made an effort to explain that it had been mis-understood (see the press release) and that the memo leaked to the New York Times had been “poorly worded.” Unfortunately for the folks at GM, this whole incident has just added fuel to the fire for those folks who want to find fault with every thing the company tries to do. If you take the GM folks at their word, what they were trying to do really isn’t crazy. At the heart of this dust-up is a real issue. How to most effectively manage a global automotive brand. New ideas from Chevy and Cadillac. We’re still waiting for a brand idea. The implication being that the brand advertising would clarify the brands’ identities. Almost three heads of marketing later, we still have yet to see an ad or an idea that positions these brands clearly in the marketplace. Three of the four GM brands have not put a stake in the ground telling us what they stand for (GMC is the exception and that work was done years ago). Last week it leaked out that Chevy was going to have the tag-line “Excellence for all.” That idea has been roundly criticized as a strategy looking for an execution. We used to describe an idea like this by saying its “strategy is showing.” The point of course is that it lacks passion, emotion, bravado, something magical that makes you feel something about the brand, rather it’s as if research wrote the line. Chevrolet is truly one of America’s most storied and iconic brands, surely it deserves better. Predictably the industry was quick to blame Publicis (Chevrolet’s new agency), I think that’s misplaced. What to do about automotive marketing? What a difference a year makes. It’s 2010 and the auto industry is beginning to recover. After an incredibly tough 2009, consumers seem to be coming back. For the first time in recent memory, Americans’ perception of domestic automobiles seems to be on the mend (Business Week 4/23). Ford’s bet that Americans will buy smaller, fully featured automobiles looks like it may pay off. GM’s product plan created by soon-to-retire Bob Lutz is leading a resurgence for the General. Hyundai and Kia, supported my excellent product quality, have taken advantage of recessionary sensibilities and grown share of market. Audi , Subaru and Mini have come out of the recession on a tear. On the other side of the ledger, Toyota continues to struggle with recalls and concerns about quality. This has led to unprecedented incentives by Toyota and the predictable response by competitors to match them. So a good number of consumers who had been sitting on sidelines during the recession have come back to dealerships looking to for a good deal. After 2009, it’s a relief to see traffic in the stores but at the same time if the incentives continue that will not be good for the industry long term. In 2009, some progress had been made at reducing the use of incentives, but the moment Toyota jumped in to defend its franchise, that opened the floodgates again. So the good news is that customers are returning to the stores, but are they coming back for the right reasons? GM paid back the $6.7B loan, bring in the marketing guys?! I think it’s great that they have repaid the loan and are showing progress, but this PR/advertising effort seems a little misplaced. Does GM think that we’ve forgotten that the taxpayers provided another $43B for which the government got stock and now owns 60% of the company? It’ll be one thing when there’s a public offering, the government sells it’s stake and gets its investment back plus interest. That will be something to crow about. In the meantime making a big deal out of the fact that they paid us back roughly 15% of what we put in feels a bit like they’re trying to “sell” us something. Rather than “sell” us that they’re succeeding, just get on with it, and when they’re no longer Government Motors, bring in the marketing guys. In the meantime, marketing should be working on clearly positioning their remaining brands. That will help sales and create value for the shareholders.